Pala Mesa Golf Resort is a California-Ranch style hotel located between Temecula wine country and the scenic North County region of San Diego. Nestled among hillsides and rolling fairways, our Temecula golf resort provides an urban escape offering the perfect setting for leisure getaways, executive meetings, conferences, weddings, catered events and championship golf where personalized service, attention to detail and exceptional cuisine blend to create memorable experiences. Easily accessible from the I-15 Scenic Corridor connecting Los Angeles and Orange counties to San Diego, our southern California golf resort provides guests with proximity to world-class golf, the Temecula area wine country, local casinos, and San Diego’s numerous theme park attractions. The moment you arrive at Pala Mesa Resort, you’ll know you’ve escaped. The Resort lies in the Foothills just north of San Diego, where the bustle of the city fades into rolling hills, mountain vineyards and clear skies. The secluded Pala Mesa grounds are a grand mix of rest and play, with every amenity to relax, refresh and revive. 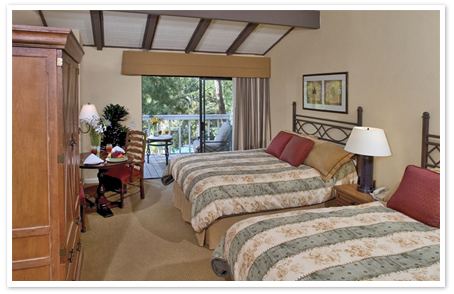 Pala Mesa Resort’s oversized guestrooms are a welcomed retreat after a day of golf. Comfortably appointed and impeccably serviced, you’ll find a comfortable club chair, cable TV, high speed internet through WebTV and a coffee maker. 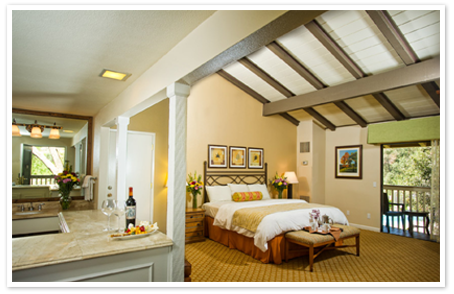 Several of our guestrooms also provide captivating views of our golf course or the panoramic hills of Fallbrook from their private balconies or patios. All of this will leave you rested and revived for the start of another extraordinary day at Pala Mesa Resort. Take in a relaxing patio or balcony view in our 405 square-foot Deluxe Room. Room includes view of the golf course, pool area or garden pavilion. All rooms are equipped with cable TV and on-demand movies, hairdryer, coffee maker, refrigerator, iron and ironing board, pillow top mattresses with splendid duvet covers and throw pillows. Enjoy a view of the pool or beautiful garden pavilion in our 485 square-foot Executive room. Room is furnished with king-sized bed, marble wet bar, spacious walk-in closet, club chair and ottoman, private patio or balcony. Walk-in closet, club chair, and ottoman. LCD flat-screen televisions with on-demand movies. High-speed Internet access. Marble wet bar. Refrigerator, coffeemaker, hair dryer, and iron/ironing board pillow top mattresses with splendid duvet covers and throw pillows. 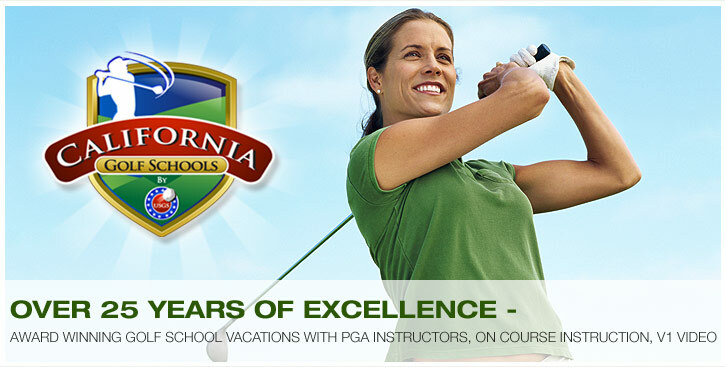 CALIFORNIA GOLF SCHOOLS OVER 25 YEARS OF HELPING PEOPLE PLAY BETTER GOLF! OFFICIAL V1 GOLF ACADEMY WITH AWARD WINNING PGA PROFESSIONAL. 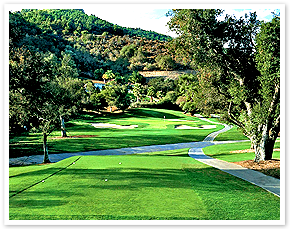 The Pala Mesa Resort Golf Course is one of Southern California’s most challenging golf courses. 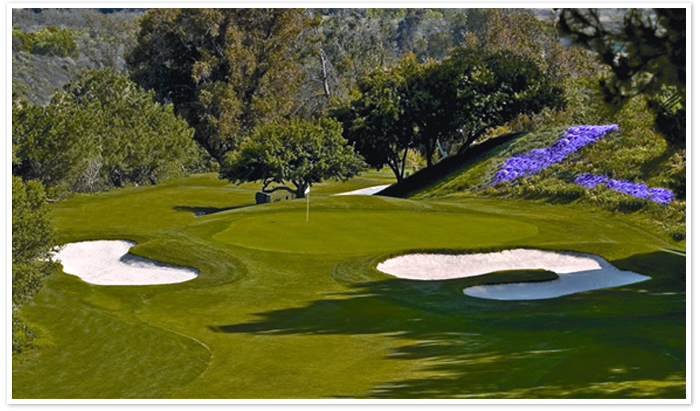 This beautifully manicured 18-hole, Par 72, championship course accented with magnificent oaks, sycamores, and elms continues to be recognized as one of the most beautiful San Diego Golf Courses. Spectacular mountain views provide the backdrop and there are challenges at every turn with the tree-lined fairways and seemingly narrower front nine holes and the dramatic changes in elevation and visually wider fairways dominate the more scenic and gentler back nine. There are two routes, depending on where you live. Driving time ranges from about one-and-a-half hours to a little over two hours.